A solar electric system can help many homeowners reduce their monthly expenses while adding value to their home. Unfortunately, the solar industry has attracted some unscrupulous people who target specific populations, such as seniors. Therefore, it is wise for seniors to take extra precautions when considering solar for their home. Seniors may even want to seek counsel from a trusted family member or neighbor before making any decisions. Does the solar company have a contractor’s license in good standing? Is the salesperson licensed? Click here to find out. How long has the company been in business? Do you expect it to be in business in 10 years? Is the salesperson educating you, or just trying to close the deal? Can they back up all of their claims from reputable third-party sources? Does their proposal consider your expected future electric usage patterns and your specific site conditions (e.g. roof orientation and shading)? Have they explained how your relationship with the utility changes when you go solar? Are they transparent about financing options, the pros and cons of each, and the costs involved? Do they have good online customer reviews on platforms like Yelp and Google? Do they have previous customers that you can speak with? Have they installed existing solar systems in your area that you can see? The best strategy is to ask for their contact information. Then research the company later without pressure. This is far better than signing on the dotted line or providing personal information. Here are a few tips about how best to deal with door-to-door salespeople. While solar leases (sometimes called PPAs) are a legitimate method for going solar (vs. owning), they are often presented in a false light. Read the fine print. Research the problems that others have experienced. Ask local real estate professionals what issues they have seen with the lease. For myriad reasons, most homeowners choose to own their solar system rather than to lease one. Going solar is a long-term decision. Homeowners, and especially seniors, should not make that decision casually, much less under pressure. When in doubt, ask for help. Feel free to contact us with more specific inquiries. 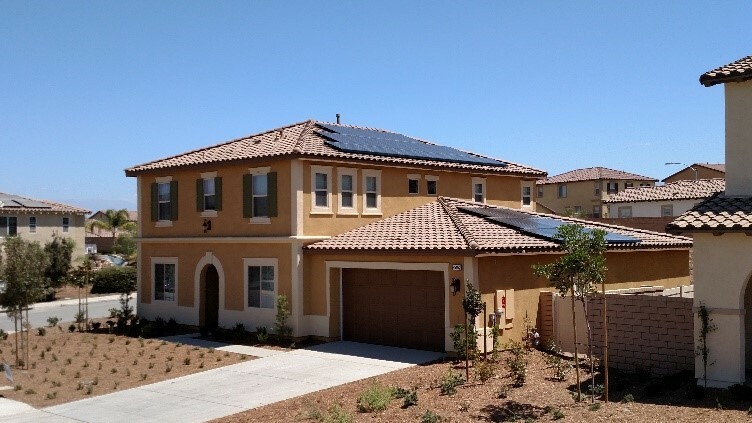 This guest article is provided by Seth Tilley, General Manager of San Diego County Solar. Senior Safe & Sound is providing this for informational purposes only. It is not intended as a formal endorsement of San Diego County Solar by Senior Safe & Sound. For tax or legal advice, contact your trusted advisor(s).